.L-R: Mr. Ed Yamguchi, Mr. Ed Zamora and Mr. Geronimo Salonga represented SPPI in its first outbound mission in Japan. 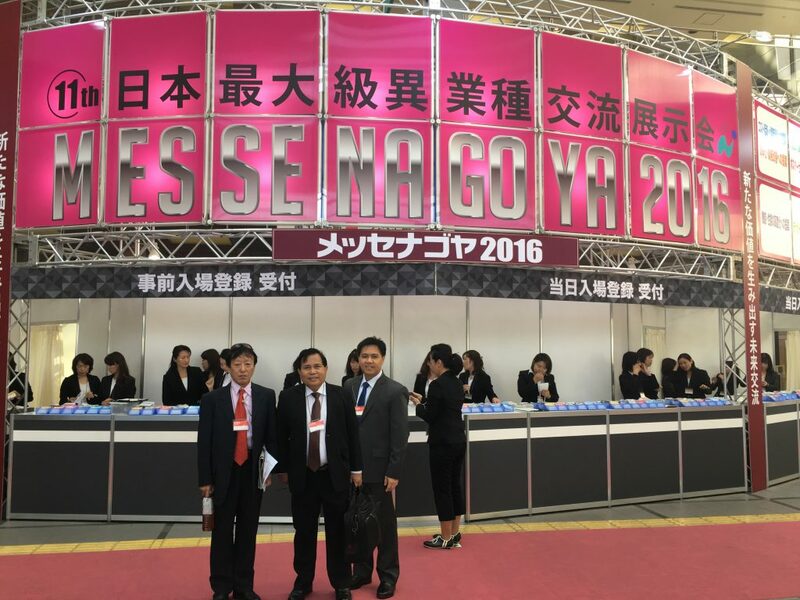 To actively promote Science Park of the Philippines (SPPI) and its world class industrial parks to the Japanese market, the SPPI marketing team composed of Mr. Edgar Zamora, Senior Vice President; Mr.Geronimo Salonga, Vice President and Mr. Ed Yamaguchi, Director, participated in the NAGOYA MESSE 2016 held last October 26-29 in Nagoya, Japan. The group particularly targeted potential locators for Light Industry Science Park IV in Malvar, Batangas and for Hermosa Ecozone Industrial Park in Bataan. Nagoya Messe is a comprehensive international exhibition held annually to provide a venue for Japanese businesses to promote their products and services to local and foreign visitors. It also aims to help businesses expand their sales channels and enhance their networks and connections on a global scale. More than a thousand com panies join the exhibition every year, which draws an audience of as many as 60,000 people.